The novel unfolds in a cemetery in 1862, where a grieving Abraham Lincoln visits the crypt that holds the body of his 11-year-old son, Willie, who died of typhoid fever. At the graveyard, Willie’s spirit is joined by a garrulous, motley community of ghosts who exist in the liminal state between life and death. At times, the narrative feels disjointed and jarring, with dialogue among the ghosts, interspersed with scraps of historical research and snippets of contemporary news accounts that Saunders gathered while doing research. By awarding the prize to Saunders, the judges will likely face a renewed backlash from critics who have complained that the prize has become Americanized. Last year, Paul Beatty became the first American to win when he received the prize for “The Sellout,” a dark satire about race and the legacy of slavery and segregation in America. This year, three of the six finalists were American, which prompted another round of criticism that emerging British and Commonwealth writers were being overlooked. Speaking on behalf of the judges, Young dismissed the notion that Americans have colonized Britain’s most prestigious literary award. 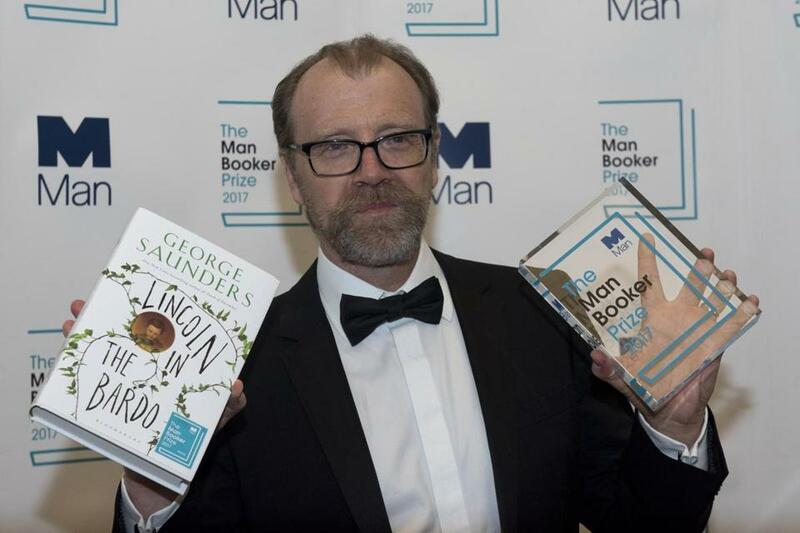 Until recently, the Man Booker, which was first awarded in 1969, was restricted to novels written by authors from Britain, Ireland, and the Commonwealth nations. In 2014, the contest was opened to any novel written in English and published in Britain. Past winners include Margaret Atwood, Kazuo Ishiguro, V.S. Naipaul, and Hilary Mantel.